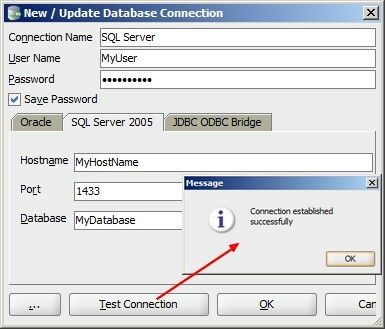 Oracle SQL Developer Data Modeling is the latest product offering to join the Oracle Database Tools. SQL Developer Data Modeling offers a full spectrum of data and database modeling tools and utilities, including Entity Relationship modeling, Relational (Database Design), Data Type and Multidimensional modeling, full forward and reverse engineering and code generation. It includes importing from and exporting to a variety of sources and targets, provides a variety of formatting options and validates the models through a predefined set of Design Rules. Download it, click on datamodeling.exe and if you are asked to enter the full pathname for java.exe, click Browse and find java.exe. For example, on a Windows system the path might have a name similar to C:\Program Files\Java\jdk1.6.0_06\bin\java.exe. You must modify the path of your 64 bit JDK in the datamodeler_home\bin\datamodeler64.conf file. Oracle doesn't provide one. When importing from a data dictionary, fill the parameters in.